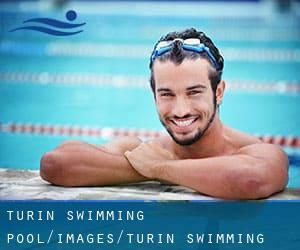 Most of the varieties of Turin Swimming Pool (City) offer you both open lanes for independent swimming and also guided activities like water aerobics or Aquabike. 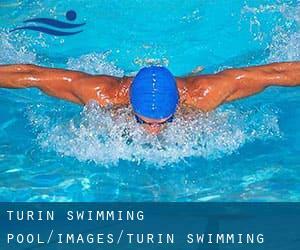 Going to a Turin Pool is increasing particularly within the elderly population sectors of Turin, who have suffered some type of muscle or bone damage. Not all countries are the same, and swimming rules and regulations are changing from one country to the other. So, if this is your first time seeking for varieties of Turin Swimming Pool (City), be sure to call the premises before you drop by. Do you know of any Pools in Turin that must be listed here? Contact us!. Swimia.com wants your feedback on Aquagym in Turin to ensure all the information about swimming in Turin is valid. Please have a look at the pools swimmers like you might have reported near Turin. Please, report any Turin Pool not listed here. There are a number of reasons why you should choose a heated swimming pool in Turin. Essentially the most significant a single relies on the significance of keeping the body temperature stable. When the water is too cold, your body will try to warm it up and you will lose strength to swim properly. One of the benefits of outdoor swimming in Turin is the possibility to sunbathe for the duration of the summer season. Taking it with extra care, sunbathing is healthful considering that introduces Vitamin D into the body, so the best selection seems to be switching in between indoor and outdoor pools depending on the season. If you're tired of possessing eyes and irritated skin, finding a saltwater pool in Turin might be the solution. You'll want to understand that the level of salt from these pools is well below the level of salt from sea water, particularly they are talking about a tenth or much less. Enjoy the best indoor pools in Turin and don't worry about the weather. These facilities are open all seasons and you can enjoy a swim at the same temperature every day of the year. There are quite a few alternative treatments to chlorination, with great benefits that guarantee better water quality in the pool. One possibility is the mineralizer, which purifies water naturally and considerably decreases the chemicals used and maintenance time. Try Chlorine Absolutely free pools in Turin. Updated on 2019 Via Massari, 114 , Circoscrizione 5 , Turin (Torino) , ITALY (Postal Code: 10148). This sports center delivers 25 meters, 6 lanes, Indoors. For this Swimming Pool, only phone number is number here. Updated on 2019 Via Nicola Porpora, 39/17 , Quartiere di Barriera di Milano , Turin (Torino) , ITALY (Postal Code: Unknown). This sports center delivers 25 meters, Indoors. For this Swimming Pool, only phone number is number here. Updated on 2019 Strada Antica di Collegno, 211 , Circoscrizione 4 San Donato - Parella - Campidoglio , Turin (Torino) , ITALY (Postal Code: 10146). Few days ago a regular user of this center told us they offer 25 meters x 13 meters, 1.8 meters maximum depth, 1.8 meters maximum depth, Indoors. Furthermore, they keep in good conditions 25 meters, Indoors. For this Pool, only phone number is number here. Updated on 2019 Via Modigliani, 25 , Circoscrizione 2 Santa Rita - Mirafiori Nord , Turin (Torino) , ITALY (Postal Code: 10137). Swimmers like you reported 25 meters x 12.5 meters, Indoors. Unfortunately we do not have the email address of this Pool, but we can give you the phone number. Updated on 2019 Via Vigone, 70 , Circoscrizione 3 San Paolo - Cenisia - Pozzo Strada , Turin (Torino) , ITALY (Postal Code: 10139). Among all the activities offered by the center, if you are interested in swimming you'll enjoy 25 meters, Indoors. If you need to contact this Swimming Pool, email address and phone number are both number. Updated on 2019 Via Sospello 118 , Borgo Vittoria , Circoscrizione 5 Lucento - Vallette - Madonna di Campagna - Borgo Vittoria , Turin (Torino) , ITALY (Postal Code: 10147). Swimmers like you reported 25 meters x 12 meters, 6 lanes, Indoors. Unfortunately we do not have the email address of this Swimming Pool, but we can give you the phone number. Updated on 2019 Corso Sebastopoli, 260 , Circoscrizione 2 Santa Rita - Mirafiori Nord , Turin (Torino) , ITALY (Postal Code: 10137). This sports center offers 25 meters, 6 lanes, Indoors. Contact information for this Swimming Pool just like phone number and email address are number. Updated on 2019 via E. Ragazzoni 6 , Circoscrizione 7 , Turin (Torino) , ITALY (Postal Code: 10123). This sports center offers 25 meters, 6 lanes, Indoor/Outdoor. For this Pool, only phone number is number here. Updated on 2019 Corso Galileo Ferraris, 294 , Circoscrizione 2 , Turin (Torino) , ITALY (Postal Code: 10134). This sports center offers 33 meters, Indoors. For this Swimming Pool, only phone number is number here. Updated on 2019 Via Villa Glori 21 , Circoscrizione 8 San Salvario - Cavoretto - Borgo Po , Turin (Torino) , ITALY (Postal Code: 10133). This sports center delivers 25 meters x 13 meters, 1.2 meters - 1.8 meters depth, 1.2 meters - 1.8 meters depth, Indoors. For this Swimming Pool, only phone number is number here. Updated on 2019 Via A. Vasile, 31 , Circoscrizione 3 San Paolo - Cenisia - Pozzo Strada , Turin (Torino) , ITALY (Postal Code: 10141). Swimmers like you reported 25 meters, 6 lanes, Indoor/Outdoor. Unfortunately we do not have the email address of this Swimming Pool, but we can give you the phone number. Updated on 2019 Strada Castello di Mirafiori, 55 , Circoscrizione 10 Mirafiori Sud , Turin (Torino) , ITALY (Postal Code: 10135). Swimmers like you reported 20 meters, 3 lanes, Indoors. Unfortunately we do not have the email address of this Pool, but we can give you the phone number. Updated on 2019 Corso Torino, 82 , Turin (Torino) , ITALY (Postal Code: 10095). Swimmers like you reported 25 meters, 6 lanes, Indoors. Phone number and email address are number for this Swimming Pool. Updated on 2019 Via Balla 13 , Circoscrizione 2 , Turin (Torino) , ITALY (Postal Code: 10137). Swimmers like you reported 20 meters, Indoors. Unfortunately we do not have the email address of this Swimming Pool, but we can give you the phone number. Updated on 2019 Corso Lombardia, 95 , Circoscrizione 5 Lucento - Vallette - Madonna di Campagna - Borgo Vittoria , Turin (Torino) , ITALY (Postal Code: 10151). Among all the activities supplied by the center, if you are enthusiastic about swimming you will enjoy 25 meters x 13 meters, Indoors. Just in case you need to contact this Swimming Pool before dropping by, we only know the phone number.